Dimitri Gielis had last Sunday a XML related question for me about the XMLDB extract function and the use of multiple namespaces. 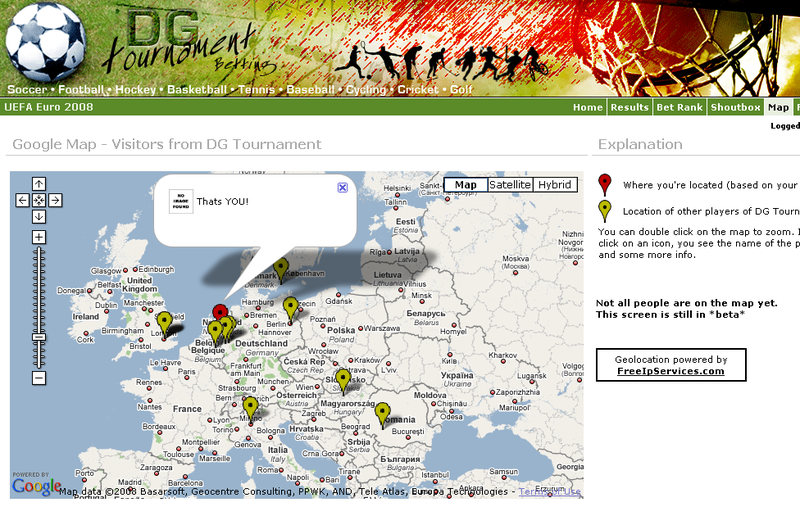 He needed the solution for the (beta) Google Map tab in DG Tournament. Dimitri was already using this functionality for the following reasons (RSS feeder output) in his DG Tournament APEX application. Instead off HTML, a call out to receive XML data. SQL> select * 2 from v$version; BANNER -------------------------------------------------------------------------------- Oracle Database 11g Enterprise Edition Release 11.1.0.6.0 - Production PL/SQL Release 11.1.0.6.0 - Production CORE 11.1.0.6.0 Production TNS for 32-bit Windows: Version 11.1.0.6.0 - Production NLSRTL Version 11.1.0.6.0 - Production 5 rows selected. SQL> SQL> SQL> col Title for a80 SQL> SQL> SELECT EXTRACTVALUE (VALUE (t), 2 'entry/title/text()', 'xmlns="http://www.w3.org/2005/Atom"' ) 3 AS "Title" 4 FROM TABLE (XMLSEQUENCE (EXTRACT 5 (HTTPURITYPE ('http://dgielis.blogspot.com/feeds/posts/full?max-results=10').getxml () 6 , '/feed/entry', 'xmlns="http://www.w3.org/2005/Atom"'))) t 7 ; Title -------------------------------------------------------------------------------- Using Interactive APEX Report in a Fun way For the European people at ODTUG Euro 2008 betting - not possible? (DG Tournament FAQ) APEX Meetup at ODTUG08 - Tuesday 7.15 PM Ruby loves me too much Using Subversion in SQL Developer... Easy? Sorry ... Have fun with Euro 2008 and bet Local APEX patched successfully APEX 3.1.1 Patch set released 10 rows selected. .
Dimitri already had solved the Google Map implementation on his site but had some small problems on syntax issues how to address multiple namespaces in the same kind of construct by consuming the services from http://freeipservices.com/ for use in his (internal tab after login) DG Tournament Google Map. After retrieving a consumers TCP/IP number, he feeds this info into the free web service, for instance, http://api.hostip.info/?ip=141.146.8.66 (=TCP/IP number of “www.oracle.com”). SQL> select * 2 from v$version; BANNER -------------------------------------------------------------------------------- Oracle Database 11g Enterprise Edition Release 11.1.0.6.0 - Production PL/SQL Release 11.1.0.6.0 - Production CORE 11.1.0.6.0 Production TNS for 32-bit Windows: Version 11.1.0.6.0 - Production NLSRTL Version 11.1.0.6.0 - Production 5 rows selected. SQL> SQL> col Name for a20 SQL> col CountryName for a20 SQL> col CountryAbbrev for a20 SQL> col Coordinates for a20 SQL> SQL> SQL> SELECT extractvalue(value(t),'/Hostip/gml:name' 2 , 'xmlns:gml="http://www.opengis.net/gml" 3 xmlns="http://www.hostip.info/api"') AS "Name" 4 , extractvalue(value(t),'/Hostip/countryName' 5 , 'xmlns:gml="http://www.opengis.net/gml" 6 xmlns="http://www.hostip.info/api"') AS "CountryName" 7 , extractvalue(value(t),'/Hostip/countryAbbrev' 8 , 'xmlns:gml="http://www.opengis.net/gml" 9 xmlns="http://www.hostip.info/api"') AS "CountryAbbrev" 10 , extractvalue(value(t),'/Hostip/ipLocation/gml:PointProperty/gml:Point/gml:coordinates' 11 , 'xmlns:gml="http://www.opengis.net/gml" 12 xmlns="http://www.hostip.info/api"') AS "Coordinates" 13 FROM TABLE (XMLSEQUENCE (EXTRACT (HTTPURITYPE ('http://api.hostip.info/?ip=141.146.8.66').getxml () 14 , '/HostipLookupResultSet/gml:featureMember/Hostip' 15 , 'xmlns:gml="http://www.opengis.net/gml" 16 xmlns="http://www.hostip.info/api"' ))) t 17 / Name CountryName CountryAbbrev Coordinates -------------------- -------------------- -------------------- -------------------- Redwood City, CA UNITED STATES US -122.206,37.5164 1 row selected. .
With a little bit of fantasy, you should be able to implement this in your own functions. Great solution Marco! Love it! 101%!